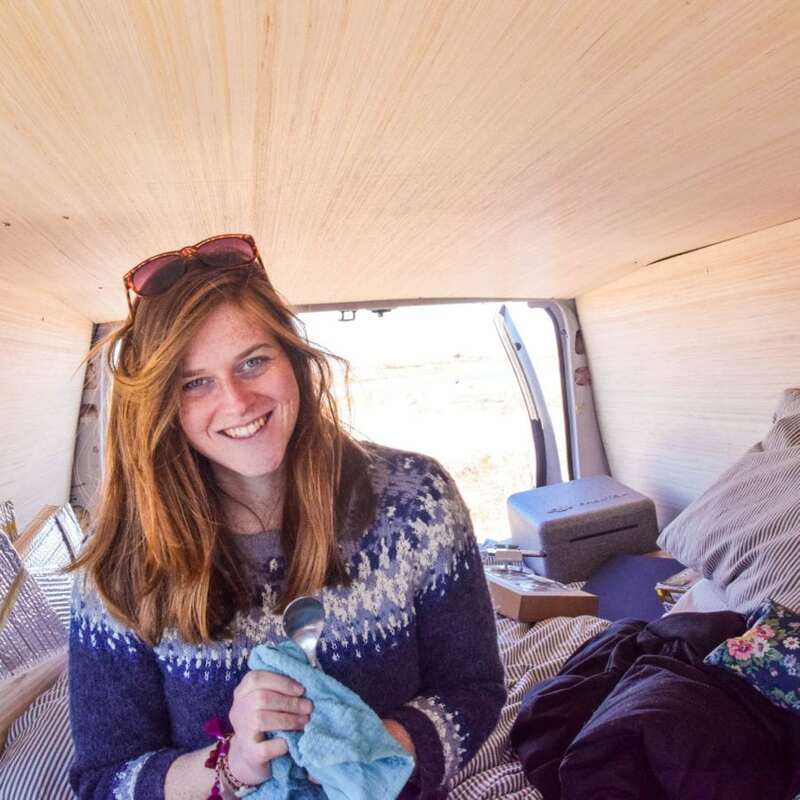 One of the questions I’m most often asked is “how do you stay clean while living in a van?”. 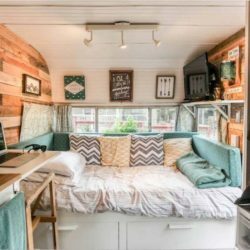 It’s true, travelling around the US in a van means you’re not exactly the cleanest human being. Our little van (Elvis to those of you who are new) doesn’t have space enough for us to stand up, let alone install a shower. This wasn’t a problem when we were cruising down the east coast of the States as we’d signed up to Planet Fitness. Planet Fitness is a gym chain that’s all over the USA and costs just $20 a month for the two of us. We’d pop in every couple of days for a quick workout and a much needed shower. So far, so good. We were pretty clean. But then we got to south west. 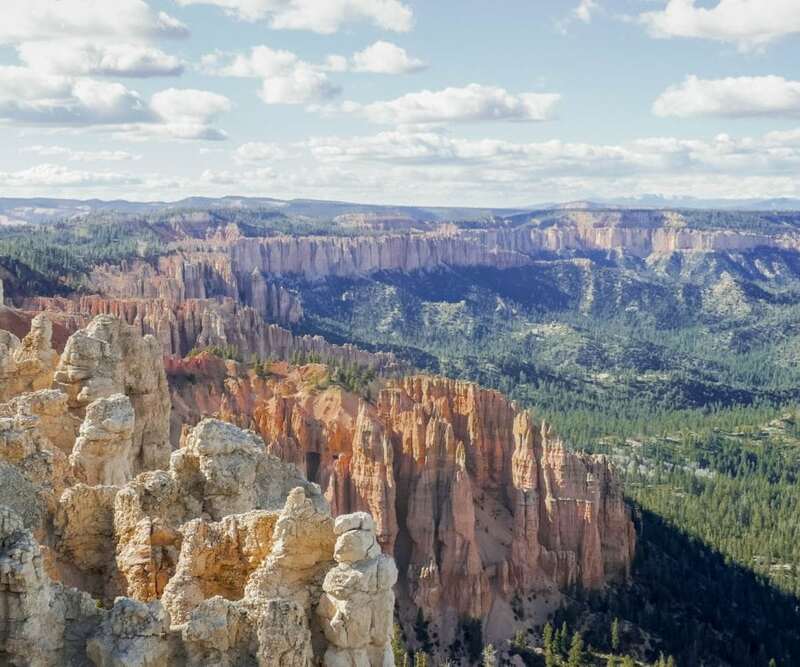 We headed away from the coast and in land to Utah, Colorado, Nevada and up the west coast through California, Oregon and Washington. Around here there didn’t seem to be many Planet Fitnesses which left us with a bit of a dilema. How could I keep myself from looking, feeling (and most probably smelling) disgusting when there wasn’t a shower around? This was made all the worse given that we were hiking in the National Parks quite a lot. (Don’t worry, I did pop into campsites every now and again and pay for a shower). 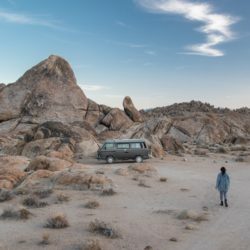 Over the past three months I’ve developed a few tips and tricks to stay clean while living in a van. 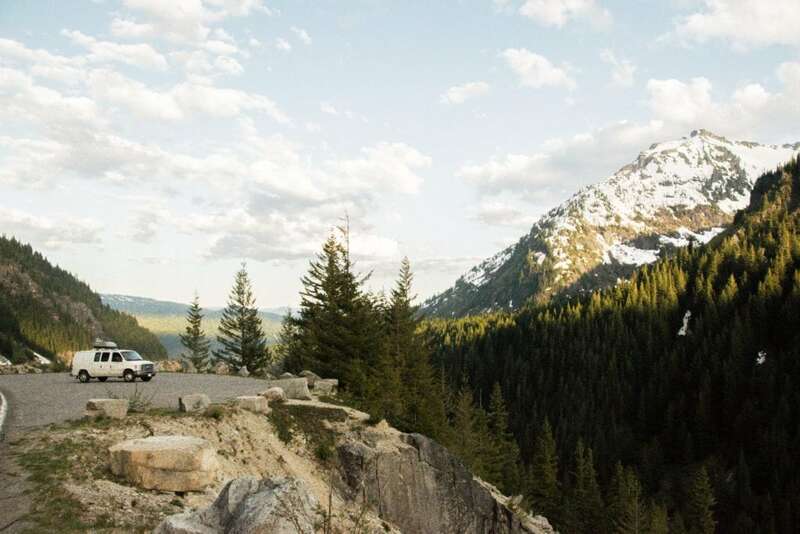 If you’re off on a summer camping trip, heading to a festival, or planning your own vanlife road trip then here’s a few things you should know about how to stay clean while living in a van. 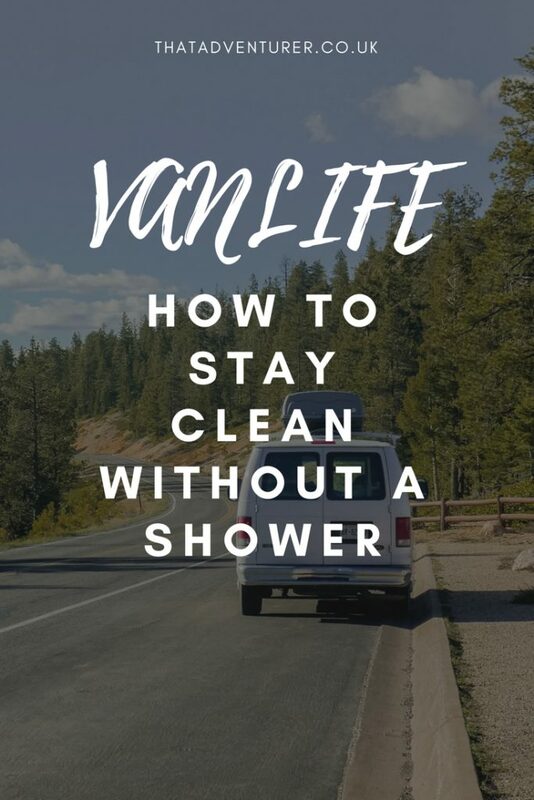 If you’re wondering how to shower when living in a van see this post! And if you must shower out the back of your van? Baby wipes definitely aren’t for babies. They’re a life saver on those mornings your eyes feel like they’re stuck together so much that no amount of caffeine will fix it. Grab a pack (or three) and use then to give yourself a baby wipe wash. If it’s good enough for babies, it’s good enough for adults. Top tip: Go for unscented ones as otherwise you might feel a little sticky. Perhaps it’s because I’ve been spending a heck of a lot more time outside (which I LOVE) but my face seems to be more dry than usual which makes me feel a bit groggy. Every morning, after I’ve baby wiped my face, I put on some of this moisturiser and feel SO much better. Whilst I haven’t had dry shampoo with me on this trip (it got taken off me when I tried to get on the underground in China – apparently it’s a fire hazard – and I haven’t bought more), it’s always served me well when I can’t be bothered to wash my hair, or couldn’t at festivals and camping trips. Plus, it smells so nice. If you really, really need a shower and there aren’t any lakes, rivers, campsites or other showering places around then you’ll be grateful you have this portable solar heated shower. You do need quite a lot of water for this (well, depending on how long a shower you want to take), and it’s never going to be a super warm shower, but it’s a great alternative option. Simply fill this up wherever you fill up your water bottles, strap it to your roof for maximum sun heat and then drive to your campsite. Once you’re there, shower away! These are great tips! 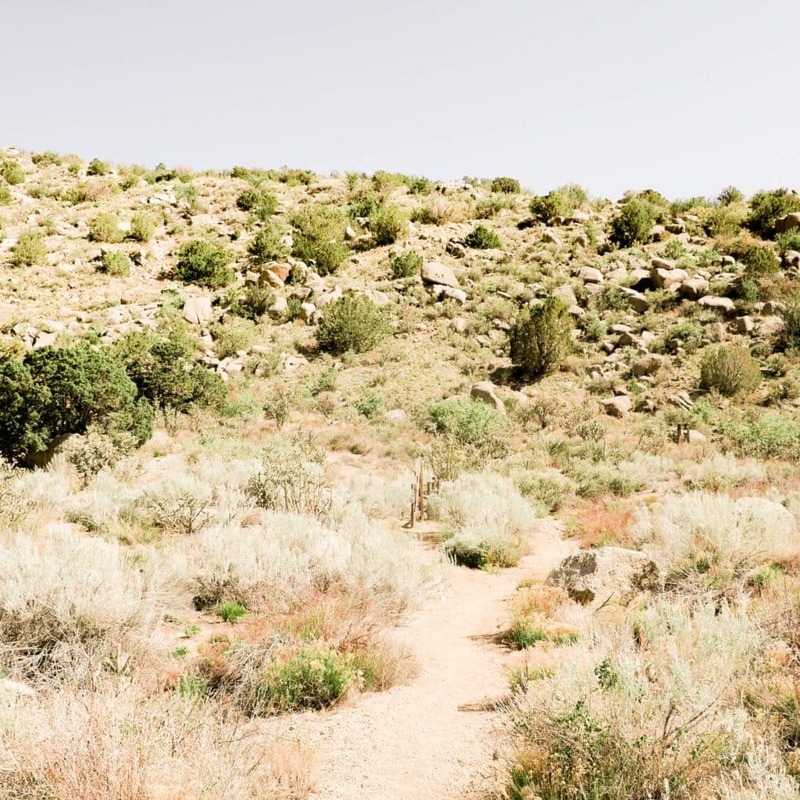 I’ve camped *once* in my life and basically didn’t bring ANY of these things and felt so gross the next day, ha! I recently discovered Micellar water (even though it’s been around for ages, I know) and it’s been a game-changer. Great tip about the unscented baby wipes as well! If you take a drink bottle of clean tap water into the loo you can sit down and wash your bottom bits well, dont even need soap really. This is good too when theres no loo paper, having a mans hanky in yr pocket works to dry u off. Taking a shower at a truck stop is not as bad as it sounds. They are wicked clean and cheap for 2 people sharing. For $12 (6 bucks/quid per person) you get a a huge private shower, sink and toilet for as long as you need it. I cut my own hair as we travel to save money and truck stop showers are a great place for this as well. They even provide soap, shampoo and towels. Most of the chain truck stops have at least 5 or 6 showers and you seldom have to wait long.